Recently, University of Toronto professor and urban theorist Richard Florida delivered a series of lectures in Columbus. In front of a large crowd at Ohio State’s Mershon Auditorium, he spoke about his new book, The New Urban Crisis, which describes the worrying decline of the middle class in cities throughout America. 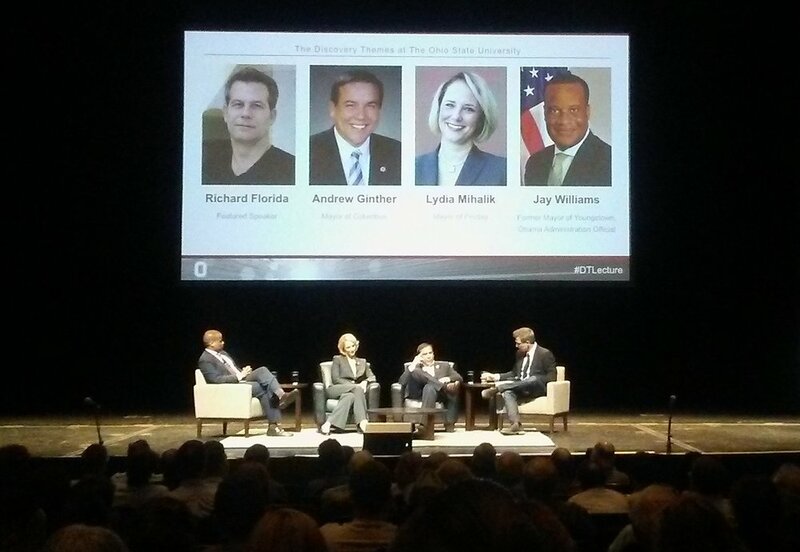 After highlighting the major points of the book, Florida asked questions about solving the new urban crisis to Columbus Mayor Andy Ginther, Findlay Mayor Lydia Mihalik, and former Youngstown Mayor Jay Williams.